The stitch and turn construction where the upper is stitched inside out and then turned to hide the seams in the interior of the shoe. A common construction method for slippers with or without outsole. It can also be referred to as Royal Reversa or Turnshoe. They normally feature a Vamp Apron with defined stitchings, a soft and flexible construction without the need of a hard outsole. This construction type is very popular among baby shoes where a soft outsole is preferred. Normally no last is used in this construction method but fitting is solely based on the paper pattern. Last can be used, but not necessarily. The front of the shoe is stitched firstly and then along the perimeter of the pattern. Once stitched the shoe is turned inside out making all seams be visible on the inside. Stitch and turn o soft moccasins. Credit: H&M. This seam type (stitching method) is also used to hide material edges in other sewing projects such as when sewing uppers regardless of construction method. Stitch and Turn on mens dressed shoe by hand. Stitch and turn is a way to stitch to hide the seams, it does not have any specific history for footwear but is a development from the stitching industry applied to footwear. 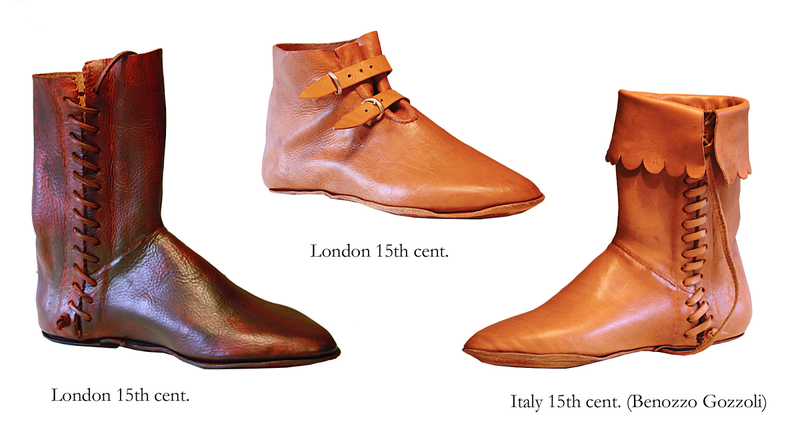 The so called turnshoes were during the middle ages (500s to 1500s) almost the only kind of shoes made. Since leather is stiff to stitch it was soaked in water. then sewn and turned. It was made minimum of two pieces of material but could also use multiple as a patchwork. The stitching was either done around a last or based on pattern directly. After that the shoe was turned and let to dry to get some stability and shape. This positioning of the seam on the inside made it more durable since they weren't exposed. Since there were no hard outsole the bottom pieces got ruined relatively quickly and it wasn't always possible to separate the sole piece from the upper and reuse the upper. The shoes were also not providing any support for the foot where all shoes were completely flat, making them less comfortable. Stitch and turn constructions from 15th century.